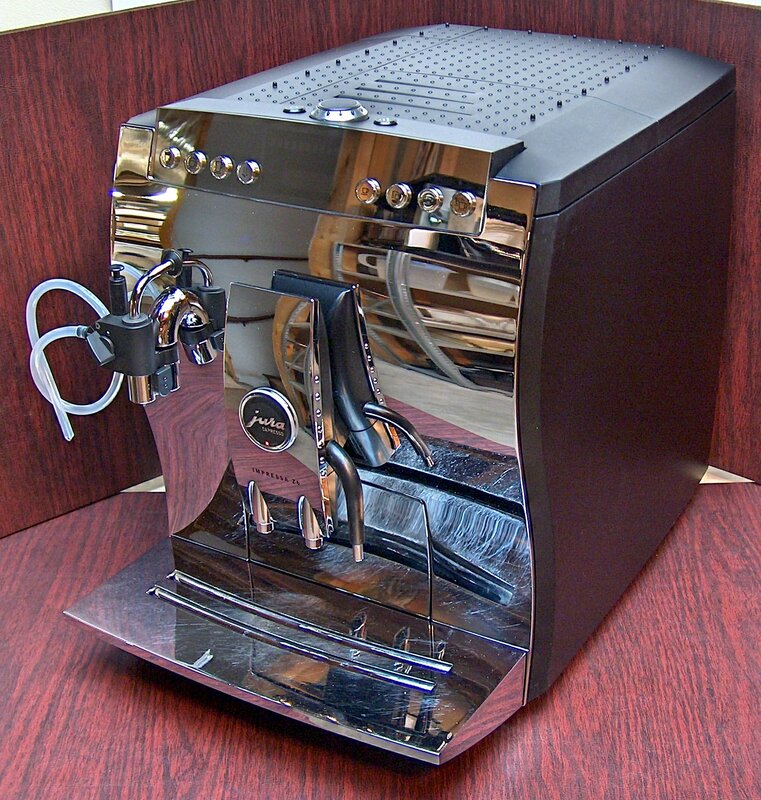 > Jura Impressa Z6 Chrome One-Touch Super Automatic Espresso Machine! Fast continuous operation - Great for office or light commercial use. Thermally insulated milk container for One-Touch. The nozzle system has a short extension for tall latte glasses and a long extension for wide cappuccino cups. Five preset settings: xmild, mild, normal, strong, xstrong. Milk or Hot chocolate, Cappuccino or Latte, Special Coffee, Hot Water/Tea, 1 and 2 Espressos, 1 and 2 Coffees. Programmable Settings: Five coffee strengths, three coffee temperatures, cup sizes from 1 to 16 oz. milk processing from 2 to 120 seconds. Rotary dial on top of the machine lets you override coffee strength, coffee and milk volume without changing the pre-sets. Never run out of beans - Invisible beam senses the amount of beans in the bean container. Height adjustable dual coffee spouts. Short and long dual nozzle systems: accommodates tall, large and small cups. Integrated commercial solid steel conical burr grinder: 6 fineness settings for any type bean. Automatic clutch to prevent virtually all blockage from stones. Safety cover (when safety lid is not on, the Z6 will not grind!). Automatic pre-ground funnel system - Bypasses grinder when lid is opened. 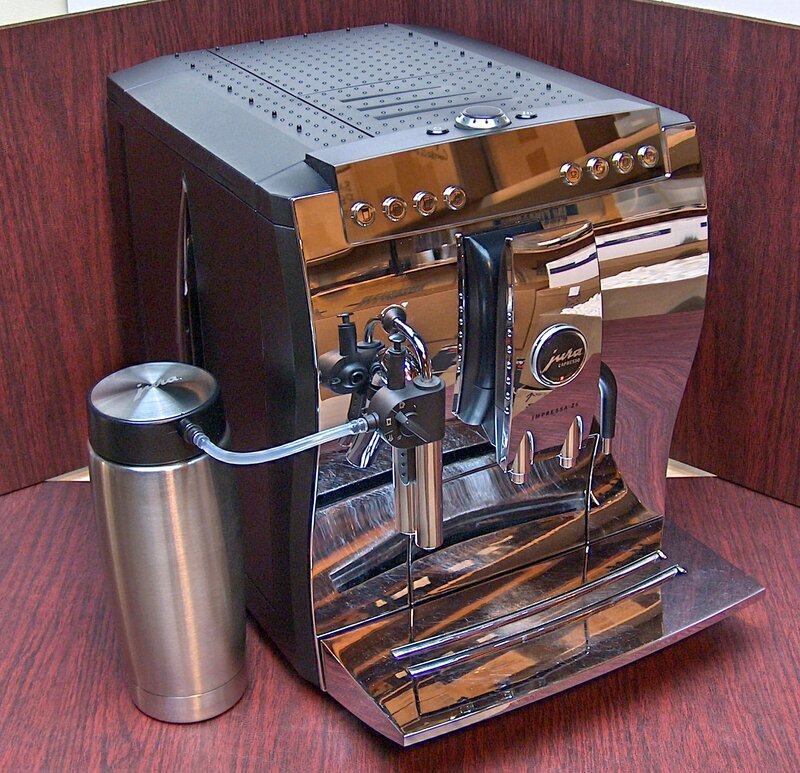 Large variable brewing chamber - Automatically adjusts to hold between 5 and 16 grams of ground coffee. 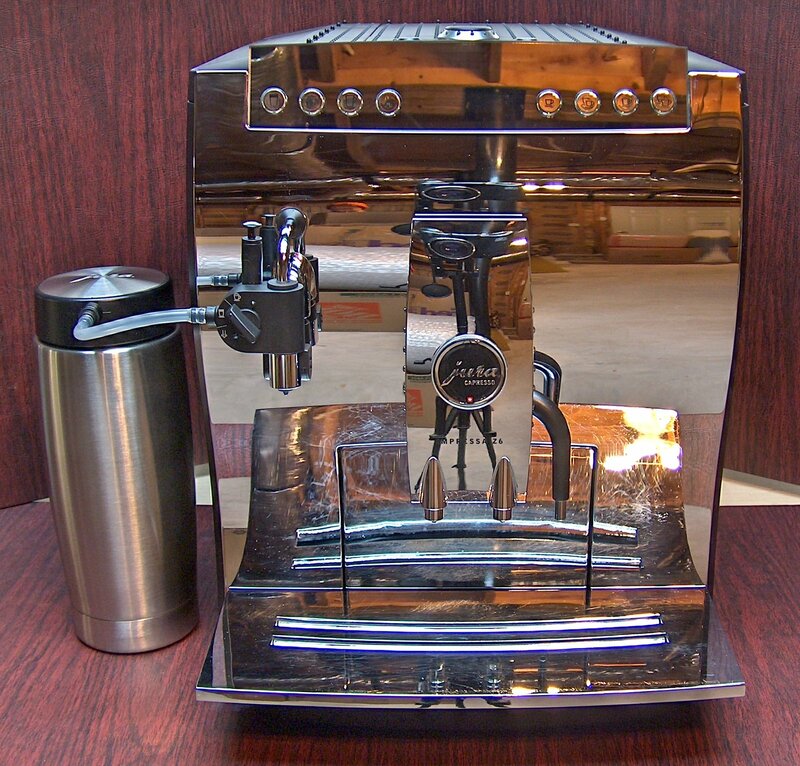 Two stainless steel lined thermoblock heating systems - Always ready for coffee and steam. 96 oz. removable water container: Good for 60 espressos at a time. 10 oz. (280 grams) bean container. Height adjustable separate hot water spout to produce a cup of tea or to transform your espresso into a Coffee Americano. 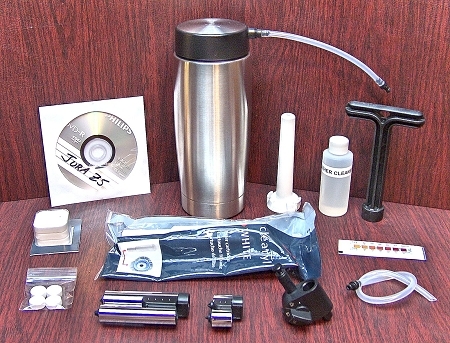 Unique CLEARYL Water Care System. Electronic CLEARYL cartridge change indicator. Three-line LED display dialog system with acoustical support. Choose from five languages in the dialog system. English, Spanish, French, German, Dutch. Select from "Continuous-on" or "Auto-off" from 1/2 hour to 14 hours or manual off. 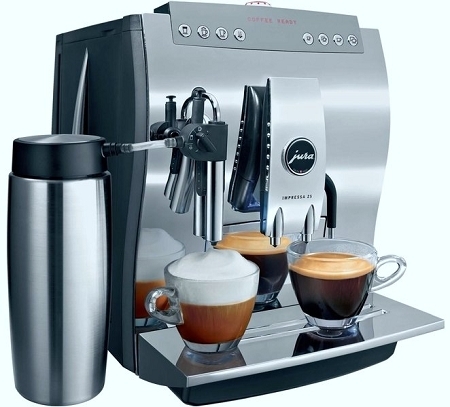 Auto-on - The Z6 turns itself on at the programmed time and is ready for your first cup. Main power switch plus On/Off switch. Button and Display Renaming option – Resettable back to original names. Choose from three stand-by modes. Automatic hot water rinse cycle cleans and preheats all vital parts. Automatic cappuccino (milk nozzle) rinsing reminder. Automatic cleaning cycle indicator prevents coffee oil build-up in the brew chamber. Automatic indicator when used coffee container is full. Used coffee container holds up to 16 coffee portions. Drip Spouts can be adjusted from 2-1/2” to 4” for espresso cups to coffee mugs. Information module lets you check how many cups are made with each beverage button, how often maintenance programs were used, how each beverage button is set and more. Five level water hardness selector. Dazzling thick Chrome Plated metal front. 20 oz. Thermally Insulated Milk Container. Short and Tall Cup Nozzles.